The podcast world was hit by an earthquake late last week when news broke that Spotify, the Swedish music-streaming giant responsible for those Discover Weekly playlists you love, was “in advanced talks” to acquire Gimlet Media, the buzzy podcast publisher behind beloved shows like Reply All, Startup, and Homecoming. 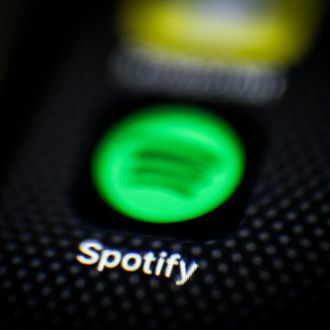 Those talks concluded in a deal that was announced Wednesday morning, which also included news that Spotify was buying Anchor, a technology platform that seeks to help more people create and monetize podcasts. Together, these twin acquisitions are a bold statement for the podcast industry: Spotify wants to make podcasting a considerable pillar of its platform, and it’s not messing around to do so. The financial terms of Spotify’s acquisitions haven’t been formally disclosed, but a source familiar with the matter told me the Gimlet deal is thought to be worth somewhere around $230 million. That’s a significant sum, obviously. For one thing, it’s wild that a digital content company can sell for that much money in 2019 after being around for only four and a half years or so. But more importantly, it marks the industry’s biggest acquisition to date by quite a large margin. The closest comparable deal was the $55 million that iHeartMedia paid last year for Stuff Media, the parent company of HowStuffWorks, which publishes shows like Stuff You Should Know and Atlanta Monster. The podcast industry has never seen money like this before, and the shock waves are going to be intense. It’s worth noting that Spotify’s head-first dive into podcasting doesn’t come out of nowhere. They’ve been dipping their toes in the pool for quite some time now, at first curating a relatively small number of shows to distribute, and then experimenting with short-term exclusive windows with external content companies (including Gimlet on its Chris Lighty documentary, Mogul), before finally opening its platform to all podcast publishers while building a stable of its own original podcasts. Those original shows generally take the form of talk radio–style programming fronted by talent like Amy Schumer, Joe Budden, and Jemele Hill, but also involve quirkier fare like the serialized music podcast Dissect, which it acquired last year. Spotify’s push into podcasting is mostly driven by a need for diversification. Its adventures in the music business has been defined by bruising rivalries with big music labels — whose licensing fees drive up the cost of distributing music — and an array of well-armed competitors like Pandora and Apple Music. Podcasting, in theory, offers Spotify a new growth channel that’s still relatively untouched pasture. Distributing the wider world of podcasts won’t cost the platform much up front, and original content is thought to be comparatively cheap to produce, though that might change as quality expectations increase over time. Acquiring Gimlet is a massive step forward for the original programming piece of its podcast gambit. In Gimlet, Spotify now has a podcast factory line that has a track record of hits (though, its recent run of shows has been a mixed bag), has attracted the eye of Hollywood with its own takes on podcast-to-adaptation pipeline (manifesting most recently with the acclaimed Sam Esmail–led adaptation of Homecoming), and has developed a brand that consistently draws press coverage. How Spotify will integrate Gimlet’s infrastructure and programming will be a key story to track, including the extent to which it will begin making Gimlet’s shows unavailable on other platforms, as well as how it handles absorbing a significant editorial staff, which is something it’s never had before. Initial reactions among the podcast community are generally strong … in all directions. I’ve heard from some corners that this is the turning point for the industry that many have been waiting for, as Spotify’s determined arrival may well lead to dramatic increases in new listeners and revenues for podcast publishers. But there is also strong opposition to what Spotify represents, which is a future where podcasting is much less open and democratic than it originally was. Born out of the same open publishing technology as blogs, podcasting was once a quirky backwater pond of digital curiosity — equally inhabitable by highly produced public-radio programming, personality-driven talk radio–style shows, and shaggy conversational podcasts started by anybody with a microphone, all working the same odds of finding an audience over a decentralized ecosystem. This relaxed podcasting environment was largely the result of the fact that the medium had been allowed to grow on its own terms under the hands-off stewardship of Apple. For the longest time, podcasting was defined by those low stakes: It was something that a steadily growing number of people really loved, but nobody knew how to make money off of. Spotify’s big swing likely changes all of that. By virtue of being a massive new player that’s willing to spend money to rapidly grow the medium on its platform, the company is greatly raising the stakes. As a result, we could see an arms race of some sort, as Spotify’s rivals consider making similar moves and as podcast publishers work to raise their profile in whatever way possible. This is probably the end of podcasting’s Wild West era. What comes next is modernity, with all the good and bad that can bring.